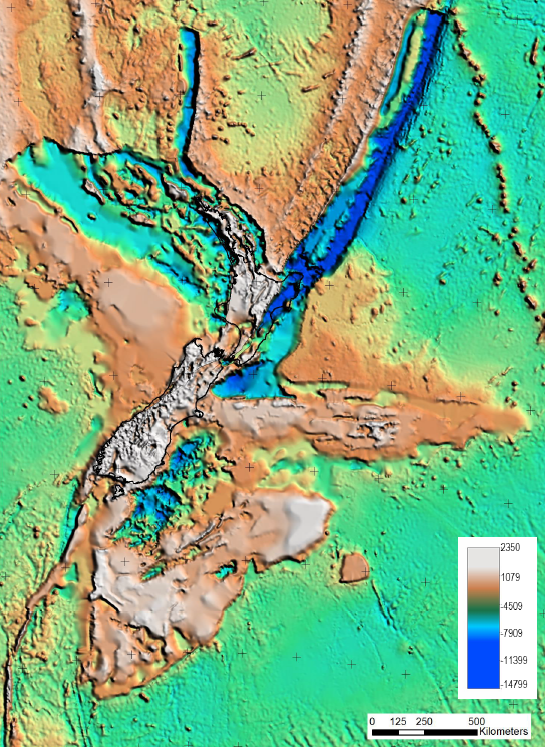 The New Zealand Extended Continental Shelf SEEBASE® is a qualitative depth-to-basement model of the present-day configuration of economic basement topography consistent with the structural evolution of the New Zealand basins. This product provides the first systematic compilation and interpretation of the regional geological data required to understand the structural controls and distribution of sedimentary basins in the New Zealand ECS and Lord Howe region. New Zealand ECS SEEBASE imagery available in the report and accompanying GIS project. FROGTECH has worked extensively across the region and has drawn together a comprehensive collection of regional data-sets and interpretations that will underpin an understanding of the complex and diverse geology of New Zealand basins. The NZ ECS SEEBASE™ GIS includes processed geophysical data-sets, cultural data, terranes and standard FROGTECH derivative products, which can provide users with an accurate regional framework for rapid assessment of available resources. The NZ ECS SEEBASE™ is released under the Creative Commons Attribution 3.0 New Zealand licence. All GIS layers are provided in the NZGD2000, NZTM coordinate system in ArcGIS format Version 10. The product is produced at 1:3M scale.